When was the last time you listened to The Bends? I lived in Tempe, Arizona when this album came out. This was at the height of Desert Rock's popularity and I was actually playing in a band with the brother of the drummer of the Gin Blossoms. All of the most popular bands in the area were adherents to the Desert Rock sound - The Pistoleros, Dead Hot Workshop, The Refreshments, Satellite, and of course, Gin Blossoms. All of these bands were also influenced by the late great Doug Hopkins (for those who don't know he wrote most of the Gin Blossom's hits and also was in Pistoleros..technically The Chimeras at the time...for a bit). I liked the other guys in Gin Blossoms, but the biggest difference between the hit album (New Miserable Experience) and the follow-up (Congratulations, I'm Sorry) was the absence of Doug Hopkins (IMHO). That is meant with nothing but love for those guys (who were always super nice to me). I am, and was, a huge Dead Hot fan, and I still enjoy Gin Blossoms super popular third version of their first album (the one that everyone knows, with Hey Jealousy etc.). Secretly, however, one of my favorite bands in Tempe at the time was Gloritone. They did not really have the Desert Sound at all, they were that "one of these things is not like the others" band. I say secretly, but I actually would always try to get people together to go see them, because they were really good. Everyone always loved the show but never wanted to go because they were kind of "off-brand" at the time. I have never really cared about what genre was winning as much as what sounded good to me. So, I was probably their number one fan. When your number one fan is a dorky music fanboy it's probably not really a good thing. Anyway, I was friends (of a sort) with the singer and major songwriter for Gloritone Tim Anthonise and I remember running into him one night at a grocery store in 1995 very late. 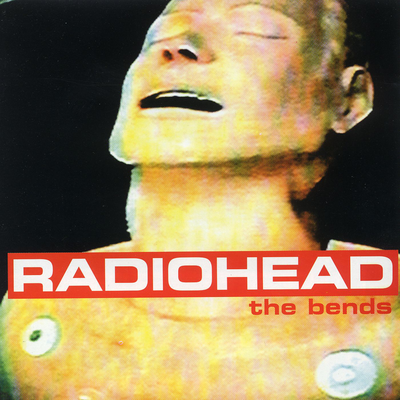 You guessed it: Radiohead, The Bends. We had both just purchased it at Zia Records (kind of like Amoeba if you have been to an Amoeba) or the Virgin Records in Tempe. We both had listened to it non-stop since purchase. And we were both raving about it. We were both blown away. In Tempe, it almost felt like we were kind of speaking blasphemy, like we had seen the future and it wasn't that Arizona rock sound (shhhh). I am still blown away. I realize lots of people hate the first Radiohead album, I actually liked it. But it is a rare band who makes as gigantic a leap from first to second major release. Every song on The Bends is a good or great song IMHO. But one song still breaks me right at my core, "Fake Plastic Trees." No matter how often I listen to it - and I have heard it thousands of times - it hits me right in the heart. And I am not sure Thom Yorke's voice has ever sounded better or more pure. The incredible sustained note "weears me ouuuuut" gets me every single time. Such a sad, beautiful, fragile but volcanic song. But, High and Dry, My Iron Lung, Just - The Bends is chock full of great moments. It is easy to forget that before they went off in the experimentation direction with Kid A they were the biggest Rock band in the world for the period covering The Bends, OK Computer, and the run up to Kid A.
I think it probably made it even better to me that I felt a bit like I was listening to some outsider music in a very self-contained music scene. I still love Radiohead, and I dig all of the things they do now, but I will always prefer the period before Thom got tired of "rock." Obviously, most people point to OK Computer, but I think The Bends should get more love. Last Weeks All-Time Album was "Redo The Stacks" by Centro-Matic. What are your favorite Radiohead albums? I would love to hear what you think of The Bends? This post isn't complete without your voice, leave a comment!